Masterpieces of the Gernsheim Collection, along with lesser-known images of great historical significance. 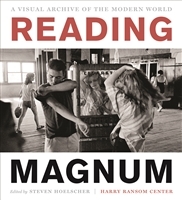 The first publication to examine the Magnum Photos collection itself. 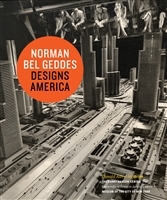 The first book to explore the entire life and career of the influential industrial designer, urban planner, and futurist. 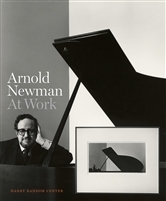 An illustrated catalog of Arnold Newman's photography. Unprecedented, firsthand insights into the evolution of the photographer's creativity. Catalog of major retrospective exhibition of Fritz Henle's life and career. Offering new scholarly research, this book serves as a timely and critical reconsideration of Erwitt's unparalleled life as a photographer. A comprehensive look at the production of 1939 film classic Gone With The Wind. 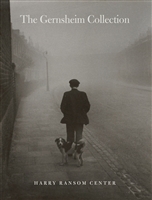 The first collection of Stanley Burnshaw's poetry, plus a broad overview of his prose writing. 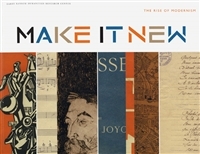 A richly illustrated chronicle of the Ransom Center's history. 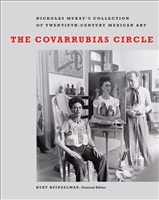 Companion publication for the Ransom Center exhibition Mexico Modern: Art, Commerce, and Cultural Exchange, 1920-1945. Color plates of virtually all the items in Nickolas Muray's collection of twentieth-century Mexican art. 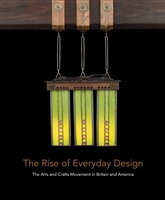 A look at the modernist movement in the 20th century and its relevance today. Every Act of Life - Signed Copy! Drawing on the Ransom Center's extensive collections, this book illuminates the experience of the war from the point of view of participants and observers. 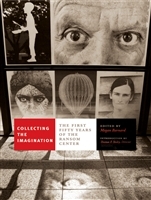 An illustrated hardback book that features many of the cultural and literary icons of the Harry Ransom Center. Explore high-resolution images of the first book printed with movable type.